“a marketing plan that details how a business intends to offer its products or services to consumers and influence their purchases”. For a high street shop, this is easy as they can use their location, shop name, windows, interior, and checkout to constantly influence their customer base. However, for those of us on the web, it can be a little harder. The best thing to do? Imagine your website IS your high street shop! The purpose of your website name is to give an idea of what your business is, what it is for and which market you are targeting. This is the first impression of your business to potential customers, so make it count! 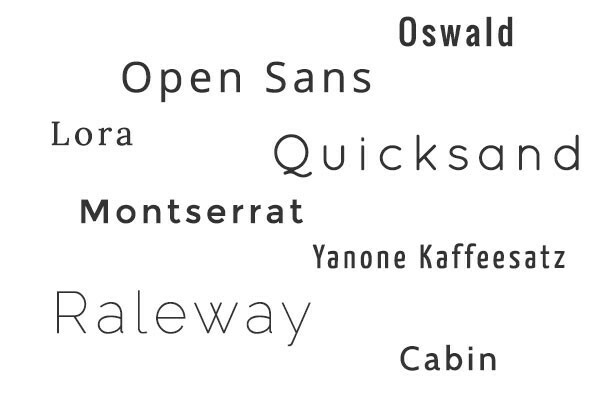 Research some fonts and choose one that you think reflects the style of your work. Typefaces can be a tricky business as they are so important and can give many different impressions. Take a look at “Burger King” to see how a name and font can make a huge impression. The name suggests that the business is food based, while the word “king” gives the impression that it is the best in its field. However, the simple and bubble-like font makes it appear more fast food than high-end restaurant. Serif fonts are generally the most popular typefaces as they are the easiest to read for a long period of time. Sans serif fonts are cleaner. They are often used for headers or screen reading. Unique fonts will also carry your message. Although very strong they can be hard to read or distracting. If you do intend to use a unique font, it is best to stick with one or at most two. Similarly, your home page is the equivalent to your shop windows. It hints at what is inside and what your business has to offer. Its purpose is to tempt and invite customers in and purchase. Therefore the strategy to use on your home page is the same as that used for window dressing. Your ultimate goal with home page visuals is to sell an idea. That idea could be seasonal, e.g. Valentine’s Day or a style e.g. whimsical. You should keep your most important visuals at above the fold (the part you see without scrolling down) and add more interest in other places. For example, you may have a beautiful slideshow or mosaic page as your central visual and then your twitter feed or blog button to capture more attention. Similarly, don’t be afraid to be different. If you want to send a message out in text-form then go for it! This could be a good idea for an offer or to show important information about your business. Your “shop window” is your advertising platform so use it wisely. This is the place to show promotions, endorsements, loyalty schemes, testimonials etc. However, it is important to keep your home page updated regularly. If potential customers come across your website and all the offers are for Christmas yet we are in February then it could look as though you are become inactive and discourage them from booking you. Also, stick to some simple design principles – consider colour, lines, form, size and space as well as proportion, harmony and balance overall. Choose colours that compliment one another and fit in with the style and theme of the business, for example; if you do wedding photography then pastels would be a better choice than deep masculine colours. Your “about page” is similar to a company slogan or mission statement. It gives your customers more information about you and your values as a business. For example, the Honda slogan is Power of Dreams; the phrase conjures up ideas of power, going beyond the ordinary and being part of an elite. Equally, Apple’s yearly mission statement sums up its values simply and clearly; “Apple is committed to bringing the best personal computing experience to students, educators, creative professionals and consumers around the world through its innovative hardware, software and Internet offerings”. Your galleries should be thought of as your shop interior. Your galleries should have an overall theme that runs throughout and shows the style of your business. It is automatically laid out and will probably have many different sections. For example; as a wedding photographer you may boost your business by offering engagement, maternity or newborn sessions. Similarly, your checkout area is an important aspect of your business that you can utilise to increase sales. As in a physical shop, the only reason someone would be at the checkout is to make a purchase. Your contact page is one of the most important ways of making your clients feel welcome and valued as a customer. The main reason for a customer to contact you is to enquire about something you are offering, so think of your contact page as the first impression of customer service. Don’t make it hard for your customers to find or use and try to answer their questions as thoroughly and promptly as possible. It’s important to make sure your customers know that you care about their experience with your company. To do this make it more personal; ask them questions so you don’t “waste their time on the phone”, be happy to answer any questions they may have and say thank you for their time…all of these things make a difference to your customers’ overall experience! Your contact page is a really simple and easy way of touching base with your customer without being pushy so use it to its full advantage. 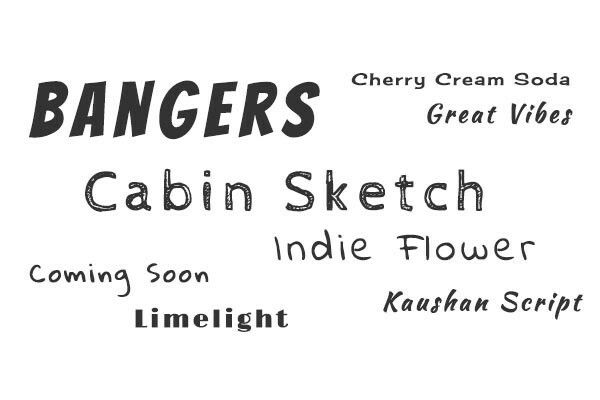 Choose from our huge selection of fonts! 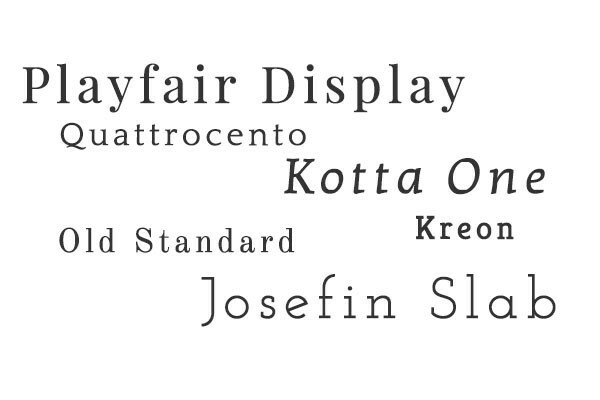 You can select any standard system font or/and add fonts from the Google font library. Log into theimagefile -> My Websites -> Main -> Customise Design -> Fonts. Also, for more information on how to add a Google font; log into theimagefile -> Help and Support -> search “Website Fonts” for a help article! Preview Google fonts here! Use our Valentine’s Day page sets. For more information; login to theimagefile -> Help and Support -> search “Valentine” for a help article. Also, download Valentine’s Day graphics that you can use within your website, social media and email. Don’t miss out! Implement our Mosaic Portfolio Page! It’s a fantastic way to display your best work in portfolios and allows you to display either by fixed width or fixed height and display a larger image in the foreground. To add a Mosaic Portfolio Page as a web page simply login to theimagefile -> My Websites -> Main -> Pages -> Create New Web Page. For more information about our Mosaic Portfolio Pages just search “Mosaic Portfolio Page”! Why You Should Put Your Prices On Your Site? 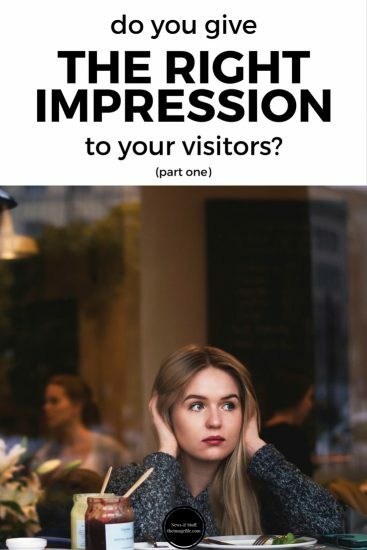 Do You Give The Right Impression To Your Visitors? (Part 2) Marketing: Customer service How Can SEO Help Me Boost My Business?